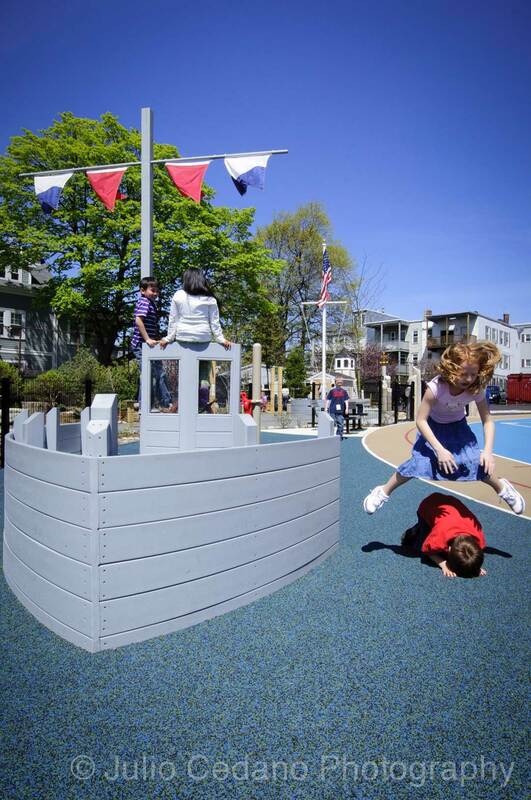 Since 1995, the Boston Schoolyard Initiative has been transforming urban schoolyards, often paved over completely, by introducing exciting new designs for active play and outdoor classrooms for experiencing nature in the learning process. 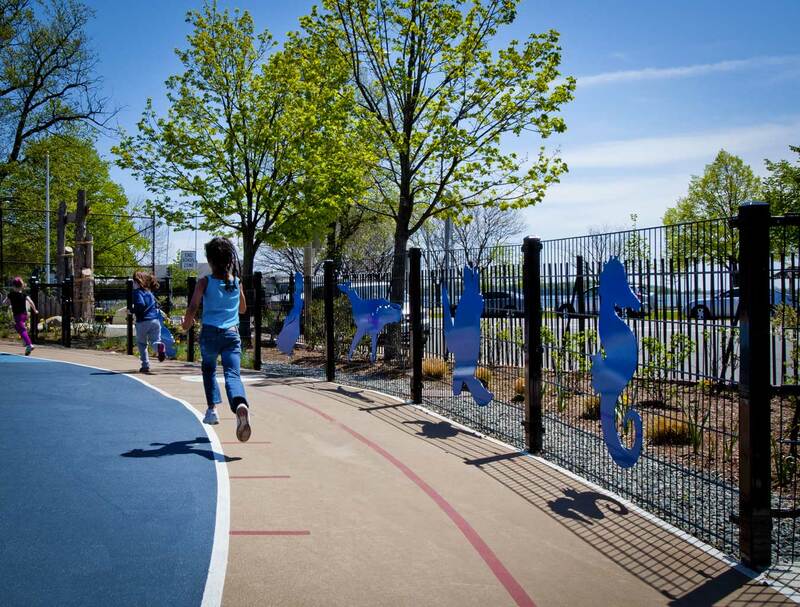 The design of the south-facing outdoor classroom introduces elements of sustainability: solar orientation, shade trees, buffer planting, permeable pavement and a dry river bed to accommodate storm water runoff. These elements not only create a comfortable microclimate but are used as teaching tools. 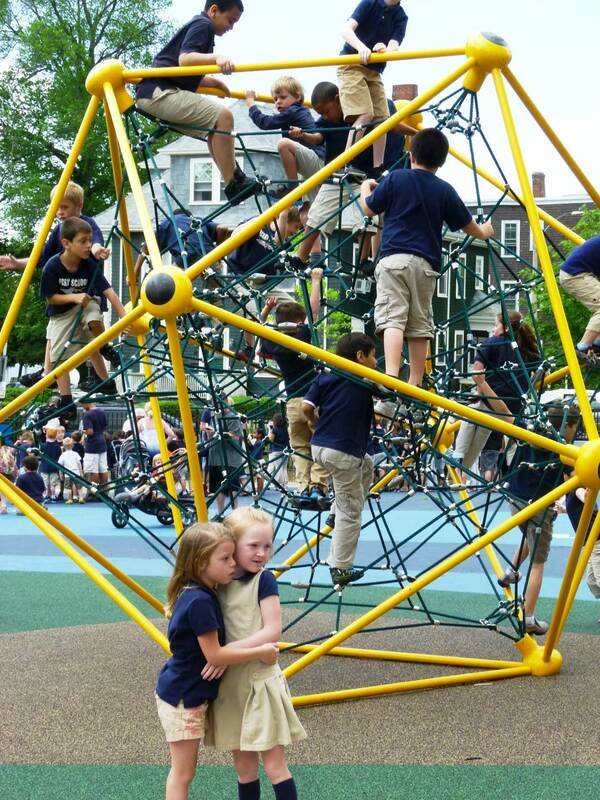 The play area faced the challenge of serving a large number of users from different age groups. 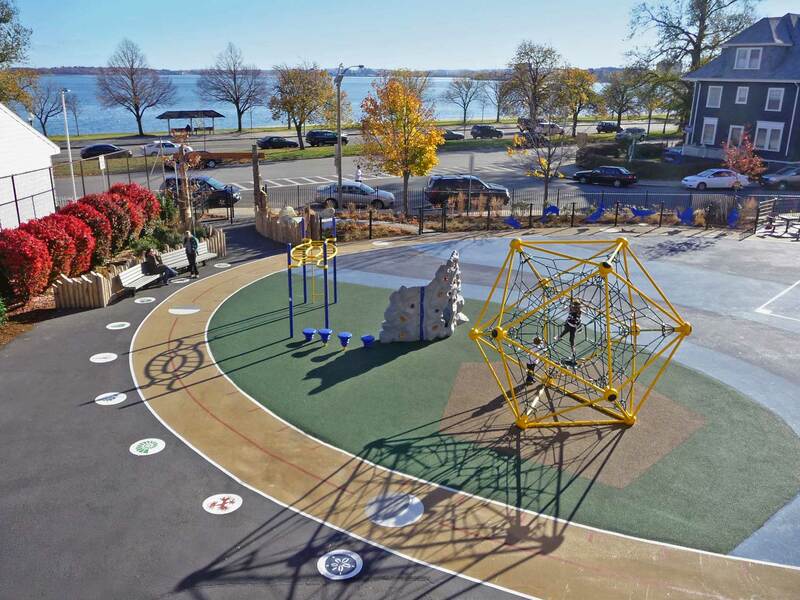 Warner Larson facilitated a series of workshops that brought the community together in support of the new schoolyard and outdoor classroom design. 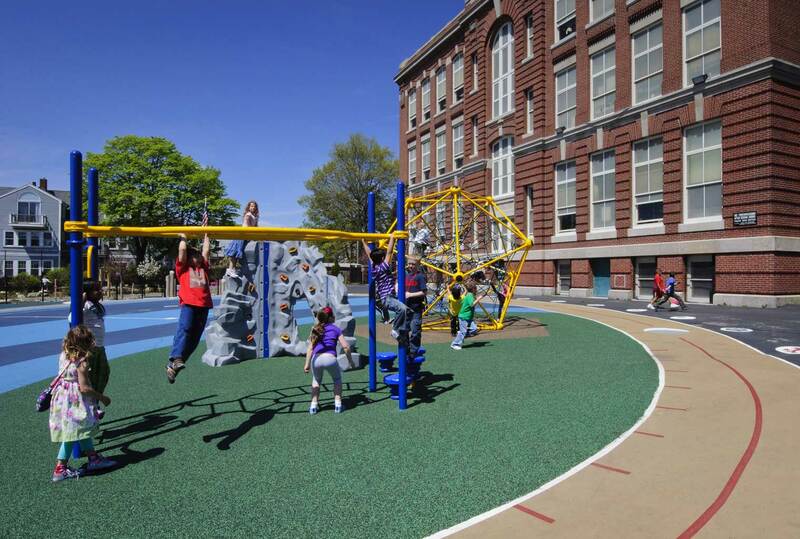 The enthusiasm, knowledge and professionalism that Warner Larson brought to the Perry Schoolyard Project encouraged us as the contractor to achieve the highest quality work possible. The attention to detail and the completeness of construction documents coupled with the access and timely responses of the Design Team made for a smooth and harmonious construction process to achieve a timely well constructed job.